We’re not going to spend a lot of time on this one. That marathon live blogging session took its toll. 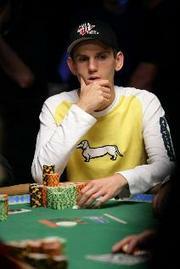 So…Full Tilt poker pro Allen Cunningham won the WSOP-C in Caesar’s Palace in Las Vegas. This is Cunningham’s first WSOP-C title. He beat Ben Fineman for the title. 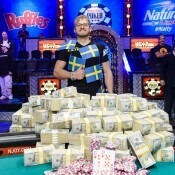 And he won $499,162. Justin Bonomo finished fifth for $96,612. The uber-present Blair Hinkle finished seventh and banked $80,510. 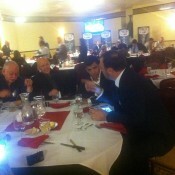 Ralph Perry came in eight ($48,306) and Doug Lee came in ninth ($32,204). 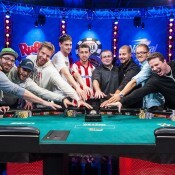 Get full final table payouts from Poker News here. At this point when I hear something about Allen Cunningham winning an event I imagine Andrew Black throwing darts at a picture of Allen on his wall. FAIL ANDREW, FAIL! Some people just don’t have to try. How did this become about Andrew Black? Oh yeah, because he fails and Allen doesn’t, delivering another crushing blow to the legitimacy of Buddhism. There is no need to be so unpleasant . Andrew Black ( my brother ) is a decent man and your comments are particularly silly..